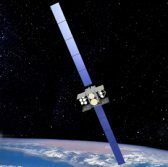 A $1.3 trillion omnibus spending bill for fiscal 2018 would allocate approximately $600 million in funds to support the development of two new Wideband Global Satcom satellites for the Defense Department, Bloomberg Government reported Tuesday. The budget allocation for the WGS program will be a boon to Boeing, which has secured approximately $4 billion in contracts since 1999 to build WGS communication satellites in support of DoD, the report noted. Other companies that may stand to benefit from the WGS funding, which was not included in President Donald Trump’s proposed budget, include SpaceX, United Launch Alliance and Kratos Technology and Training Solutions. Trump signed the budget package Friday hours after Congress passed the measure to avoid a government shutdown.